Tired of mystery shops? 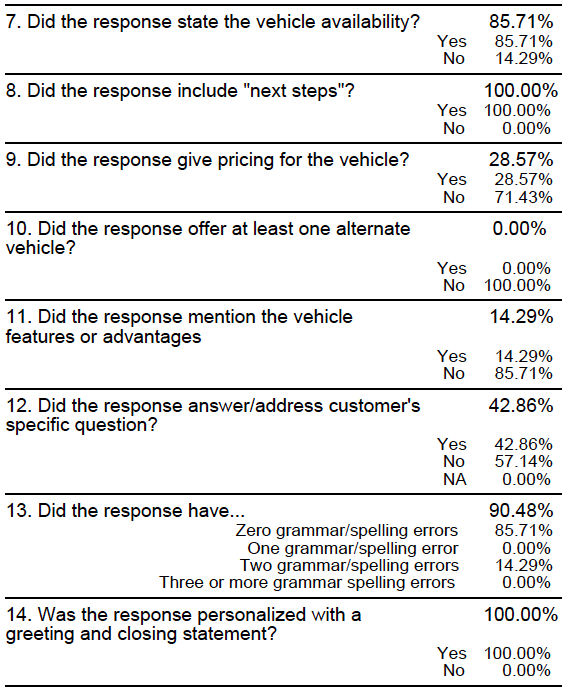 Can your Sales Department, Internet Department or BDC sniff out a test lead from 8 miles away and nail the OEM score? 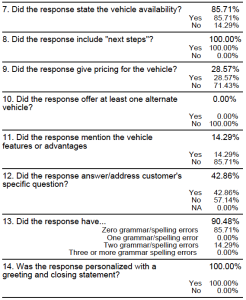 One of the most annoying ways to collect data about lead handling according to someone else’s criteria takes valuable time and resources away from driving more people to your dealership. In addition to sales/Internet guest coaching since 2007, IM@CS has been maintaining an industry-exclusive lead scoring tool that allows you to focus on what matters, real unsold customers, since 2010. For $595 per month per rooftop, you’ll review multiple leads in 12 critical areas of lead management success based on how your staff really responds to customers. Whether you need an accurate snapshot of how leads are being addressed, a coaching or training tool to improve targeted areas, or simply a way to measure effectiveness over time, gain the upper hand today and have the only report that proves it. Contact us today and drive more customers to your store tomorrow!